This week I joined the best club ever!! 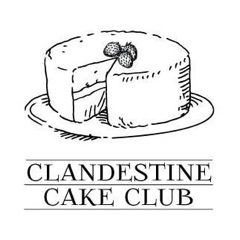 The Clandestine Cake Club, had its first meeting in Cobham this week, and it was fab. Thanks to Liz for organising it? Basically, it goes like this…..the organiser of the local club tells you about a week before where you are meeting. Our first meeting was at a cafe of a local garden centre. Then you bake a cake, which you take to your meeting. All the other members of the meeting also bake cakes which they take along – I baked a carrot cake with cream cheese frosting. 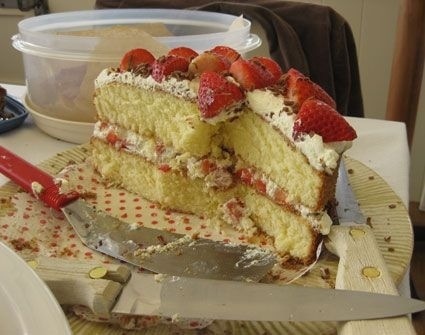 At the meeting, you get yourself a cuppa and try all the cakes that have been baked, whilst you talk to all the other lovely members about, amongst other things, baking cakes. 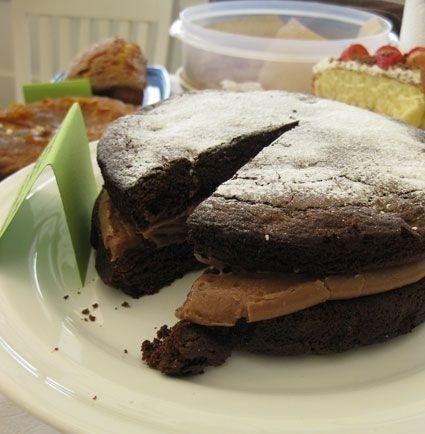 At the end of the meeting, if there is any cake left, it’s divvied up and you take it home……. 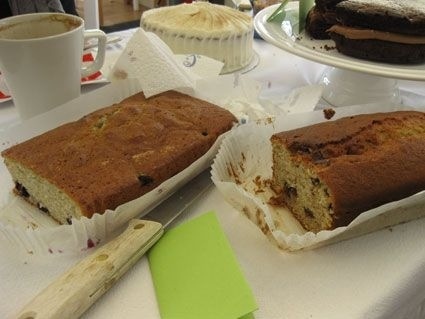 So in a nutshell…..bake cake, drink tea, eat cake, talk cake, take cake home. I think I got to try 10 different cakes. Didn’t I say it was the best Club ever?!! 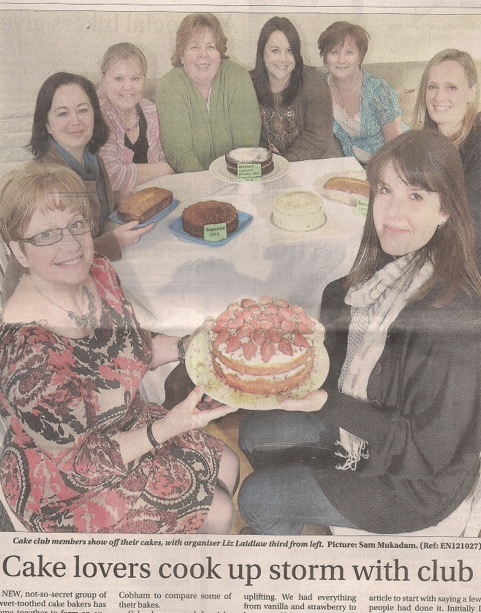 As it was the first Cobham meeting, the local press turned up, and the Cobham Clandestine Cake Club features on todays Surrey Advertiser……..well a group of women, with a stack of home baked cake is enough to get any press interested, and that means National TV too!! 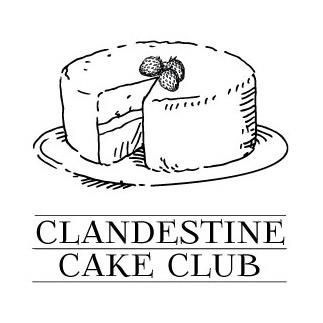 The Clandestine Cake Club will be featured on the BBC 1 show The One Show on Friday 24th March. Sadly I’m not able to go to meet the lovely Chris Evans, laden with cakes, but I will eagerly watching the box at 7pm! !